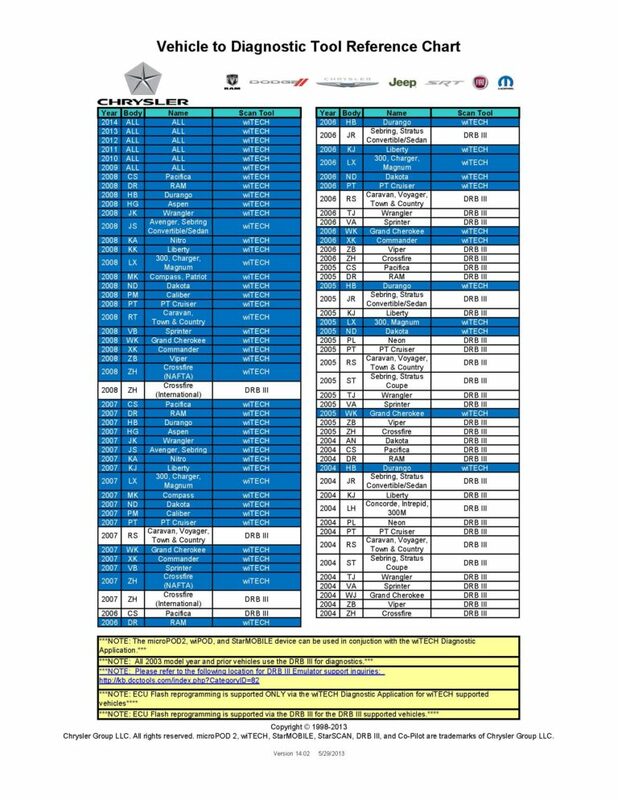 Here supply Chrysler Micropod II and DRB III function list which help you learn which to use to diagnose and program Chrysler,Jeep, Dodge, Ram, SRT, Fiat etc. 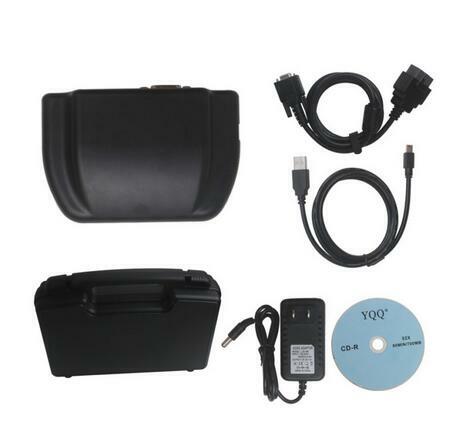 The answer is to have WITECH VCI POD V13.03.38, which comes with DRB III emulator and can work stably offline. Question 2: Which hardware is compatible with clone wiTech software? wiTech software is confirmed no issues with the Witech Micropod2. It can perform Chrysler Diagnostics and Programming. You could use the clone for online diagnosis or new Chrysler cars. But the DRB III emulator is not always contained in its CD: Someone feedback he tried 2 Micropods, one did have no DRBIII functionality at all and the second did have DRBIII functionality, but only for the engine and transmission module (CAN bus) and no other modules (K Line). 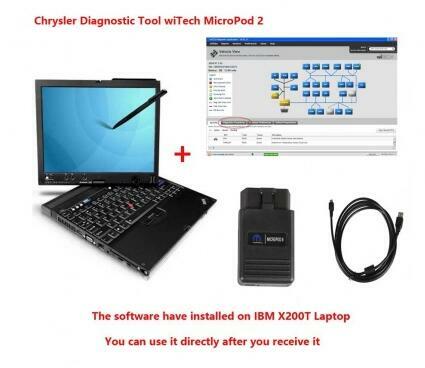 The software have installed on IBM X200T Laptop,You can use it directly after you receive it. 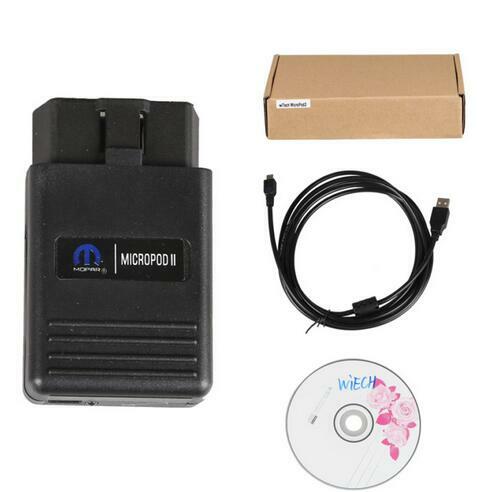 NOTE: wiTECH Micropod 2 Chrysler diagnostic tool with V17.04.27 wiTECH software can work online and support Chrysler online programming, if you have account. The wiTECH diagnostic system is designed to work on Chrysler, Dodge, Jeep, and North American Fiat vehicles equipped with CAN BUS technology. It provides the latest technology and significant hardware and software performol provides cutting edge technology will enable technicians to increasance enhancements over the current StarSCAN and StarMOBILE tools. This toe their productivity and provide world-class diagnostic services to your customers. 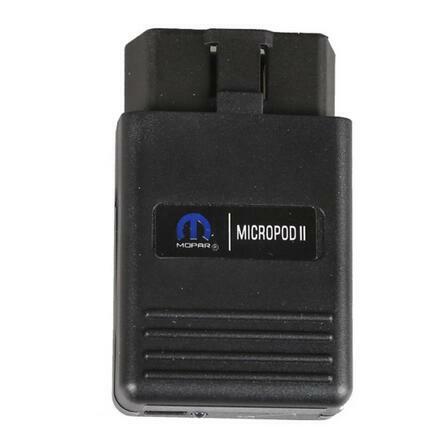 This tool is very easy to use .The MicroPod 2 from obd2tool.com is a great OEM dealer diagnostic tool that will give you full access to the vehicles that you are working on.